DEVA™ delivers high quality, potency and affordability all in one bottle. Our Vegan Omega-3 DHA oil comes in Vegan soft capsules specially made for delayed release function. This may help reduce the aftertaste and repeat issues associated with Omega-3 products. This new type of non-animal capsules do not contain any gelatin or other animal derived ingredients. 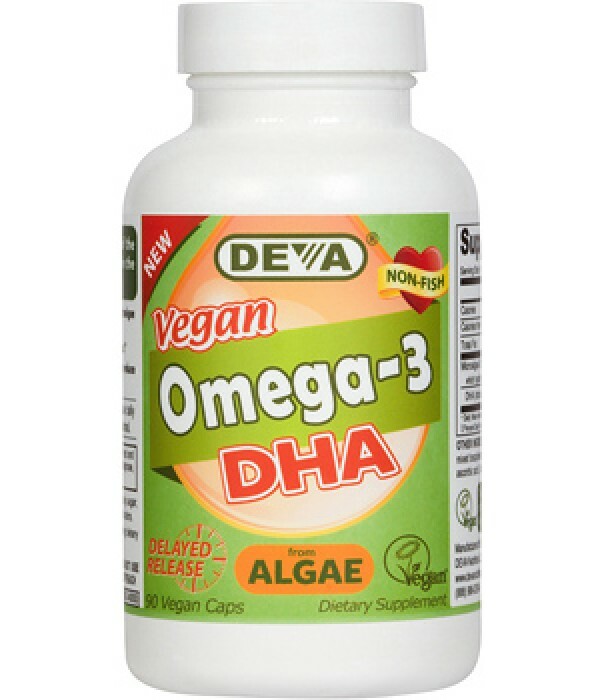 As a non-animal alternative to fish derived DHA, DEVA Omega-3 DHA is appreciated by vegans, vegetarians and anyone who would like to benefit from DHA as derived from algae. DHA is an omega-3, long chain polyunsaturated fatty acid and it is one of the important building blocks of the human brain tissue and retina* The human brain is about 60% fat, and DHA is one of the prominent structural fatty acids in both the brain and the retina*. 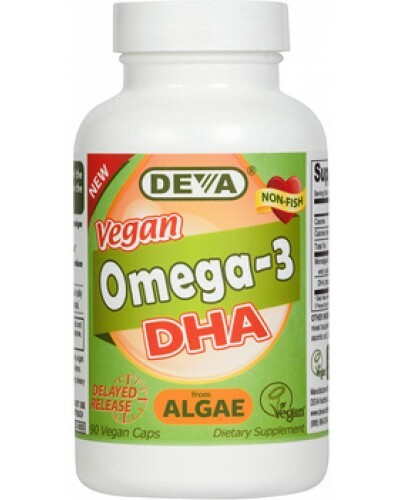 DEVA Omega-3 DHA is 100% vegan, vegetarian and is registered by the Vegan Society, the non-profit organization that actually invented the word "vegan". For adults, take one (1) Vegan capsule daily with food, or as directed by a health care professional. Free of yeast, wheat, gluten, sugar, salt, hexane, dairy, egg, fish, shellfish; animal products, byproducts or derivatives. * Birch, E.E., et al. A randomized controlled trial of early dietary supply of long-chain polyunsaturated fatty acids and mental development in term infants. Developmental Medicine and Child Neurology. 42: 174-181, 2000. * O'Brien, J.S., and Sampson, L. Fatty acid and fatty aldehyde composition of the major brain lipids in normal human gray matter, white matter, and myelin.J. Lipid Res. 6: 545-551, 1965. * L A Horrocks, Y K Yeo., Health benefits of docosahexaenoic acid (DHA) Pharmacological Research : the official journal of the Italian Pharmacological Society. 1999, 40(3):211-25.